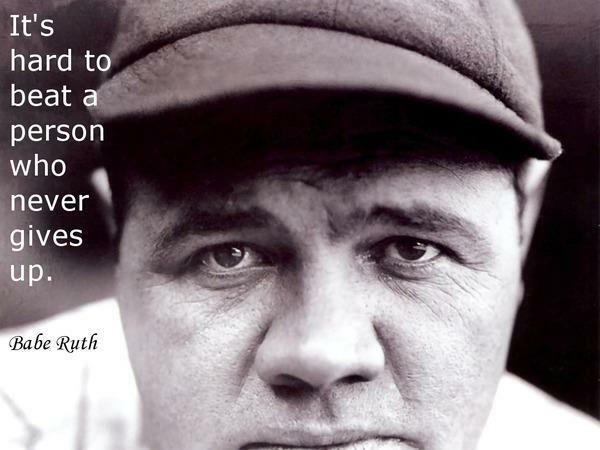 Babe Ruth is the likely the best — and certainly the most famous — baseball player there ever was. So it should come as no surprise that his baseball cards are among the valuable ever printed. Babe Ruth baseball cards aren’t just rare because everybody’s great grandfather made the unwise decision to throw them away. They are hard to find because there were very few baseball cards produced during the 1920s, which was when the Bambino played the bulk of his career. Here are five of the most famous (and expensive) Babe Ruth cards ever produced. Before Babe Ruth was a Boston Red Sox and way before he was a New York Yankee, the artist later known as the Sultan and Swat was a member of the Baltimore Orioles. No, not those Baltimore Orioles, but rather the minor league Baltimore Orioles who bare no linear relationship to the big league club of the same name. It was during Ruth’s early career in Baltimore, his hometown, that the then-18 year old first appeared on baseball card as part of the Baltimore News’s 1914 set. A noticeably more svelte Bambino appears standing with a baseball jacket on and a glove on his hand. There were three version of the card, one with red framed front, one with a blue frame and one with a black frame. In 2013, a red framed Baltimore News #7 with a PSA rating of 1 (the worst) sold for $450,030. On can only imagine what this Babe Ruth “rookie” card in decent shape would be worth. 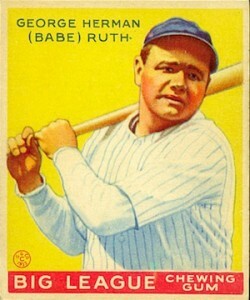 This card is considered by most to be Ruth’s true major league rookie card. The reasons it is listed as two different cards in two different years is that both the cards feature an identical picture and markings and were released within in a couple months of each other. It’s not even entirely clear which set was released first. The card features a photo of Babe Ruth pitching, as this was before he made his switch to the outfield. He is wearing a Red Sox uniform, which serves as a painful reminder to Boston that the Sox foolish sold the Bambino. He is also quite thin in this photo, which should warm the overly processed hearts of hot dogs everywhere. The back of the card in not uniform, with 18 different advertisers filling the space of various versions and some featuring blank backs. The most ever paid for the card was in 2013 when a 1915 PSA 3 with a Ware’s Basement Sport Goods back went for 130,350 at auction. 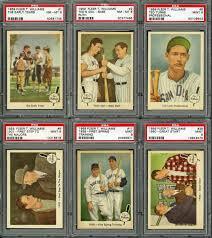 The chewing gum company Goudey’s first set of baseball cards were produced in 1933. Since Goudey went on to become the dominant baseball card manufacturer of its era, the 1933 set is considered one of the three classic sets of all time, along T206 and Topps’s inaugural 1952 set. In a sense every card in Goudey’s R319 were ‘rookies,” and that includes the four Babe Ruth cards that were featured in the 240 cards set. #53, the rarest and highest numbered of the Ruth cards, features the slugger posing with his bat in front of a yellow background. A PSA 8 near mint version of that card went for $ 59,250 in 2013. Even if it is a bit much to call it a rookie card — Ruth was 38 at the time of its release — at least he had a good season in 1933, hitting .301 and slugging 34 homers despite his advanced age. 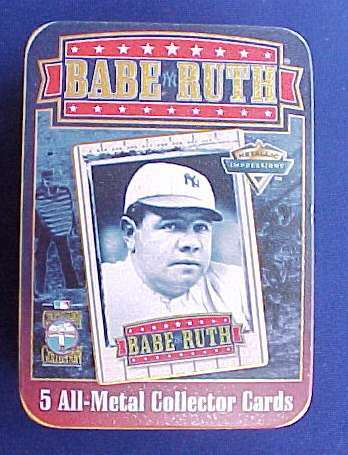 You don’t have to be a Gates or Rockerfeller to be the proud owner of a vintage Babe Ruth baseball card. If you think out of the box a little there are ways to purchase old cards featuring the Sultan of Swat on just about any budget. For example the 1959 Fleer card “Ted’s Idol.” Part of an all-Ted Williams set produced by Fleer as part of endorsement deal Williams had signed with the card company, Ted Williams # 2 featured a photo of an aged Ruth, in uniform, posing with Williams. The set was mass-produced meaning you can usually find Ted Williams #2s in fairly good condition for $50 or less on sites like eBay.